What Is A Blurt BuddyBox? #WIN – everyone who posts an image on Twitter, Pinterest or Instagram of their buddy or one of the captioned Blurt images with the hashtag #BlurtBuddyBox, will be entered to win one of two annual BuddyBox subscriptions, worth £222. Two winners will be announced on Monday 15 June, 2015. 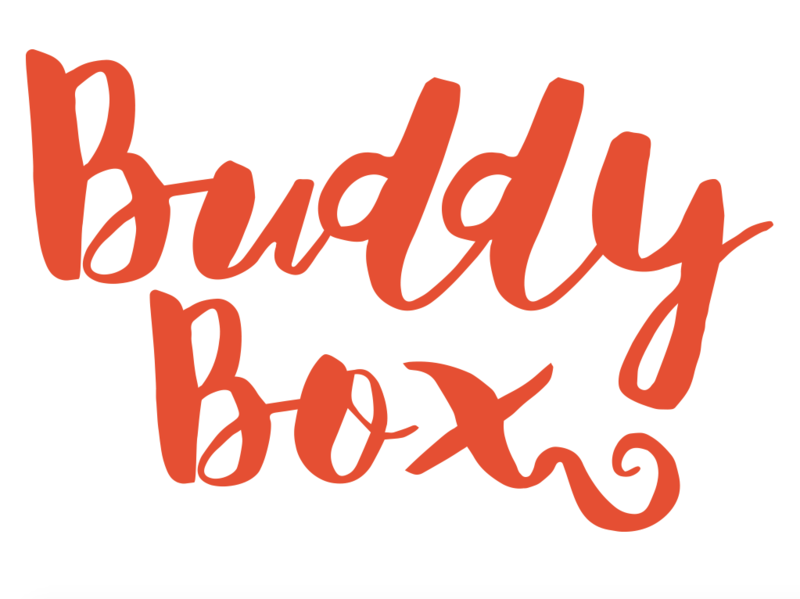 Launched on 1 June 2015, The Blurt Foundation’s new BuddyBox subscription box makes a thoughtful gift for anyone affected by depression. And if you’re living with depression, buying a subscription for yourself is a great way to enjoy a little self-care. Every month, The Blurt Foundation will create a special box filled with things to help, inspire and comfort those with depression. Each box will have a different theme – for example, products and tips for a good night’s sleep or items to recharge the body and mind and each BuddyBox can be personalised with a special note for the receiver. If you know someone struggling with depression, it can be difficult to show your support. Often a chat over coffee or an extra-tight hug is enough, but there might be times you want to do a little bit more. Depression can’t be treated with ‘things’, but these clever care packages will let a loved one know you’re thinking about them. And that’s a very nice thing. Coupon Code ILOVEBUDDYBOX gives customers a 10% discount on all orders and doesn’t expire until 30 June, 2015. On Tuesdays, I try to find new charities to feature on my blog. The Honeypot Children’s Charity provides respite breaks and outreach support to young carers and vulnerable children, aged 5 -12 years old. Most are young carers and many care for a chronically or terminally ill loved one, or have a parent with drug, alcohol or mental health problem. Some of the children will have been a young carer from as young as 5 years old. When at home, young carers might be cooking, washing, cleaning, changing dressings, bathing, or offering emotional support. This obviously leaves no time for their own social and personal development, which can put them at risk of depression, anxiety, poor mental/physical health, isolation, bullying and poor school attendance. Honeypot also work with vulnerable children from homes with extreme social, financial or emotional challenges. Some are victims of abuse/neglect and may be on the Child Protection Register. Like young carers, they are often left to fend for themselves with no opportunity to live a normal childhood. For them, going on a trip to the cinema or to the beach is a rarity. Having a break from their stressful home environment is virtually unknown. Why not take a look at The Honeypot website and see all the ways in which you or your organisation could help them. Sometimes the smallest gesture can make a huge difference. 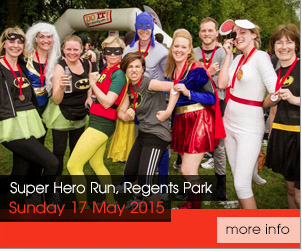 If you are feeling super energetic and want to help fundraise you could take part in the Super Hero Run on Sunday 17 May 2015. Join The St John Ambulance Big First Aid Lesson and in the space of just one hour, students from schools across the country could learn valuable first aid skills which may stay with them for a lifetime. At 2 pm, on 12 June, St John Ambulance will be holding the Big First Aid Lesson, a free hour long online first aid session that will be streamed live into classrooms across the country. The interactive programme will combine first aid training and 999 scenarios with interesting real life situations, as well as interactive opportunities. This 2015 event will be hosted by Claudia Winkleman, presenter of Strictly Come Dancing. As well as learning the skills to save a life, schools can also star in The Big First Aid Lesson. Throughout the programme, St John Ambulance will be linking up with schools across the country on Google Hangouts to find out how they’re getting on with the lesson. The team in the studio will be available to answer the best questions from the comments section of The Big First Aid Lesson’s webpage, and read out posts featuring the hashtag #bigfirstaidlesson on Twitter and Facebook. The Big First Aid Lesson has been created to make it easier for schools to teach first aid. It’s a great introduction for students, or if they already know some first aid, a brilliant way of refreshing their skills. St John Ambulance has a whole section on their website dedicated to bringing first aid education into schools. An essential part of blogging, for me, is the ability to use it to help others. So, each Tuesday I will be sharing news of a charity that could do with some support. Here are some I’ve covered previously. If you’d like to nominate a charity then please comment below. 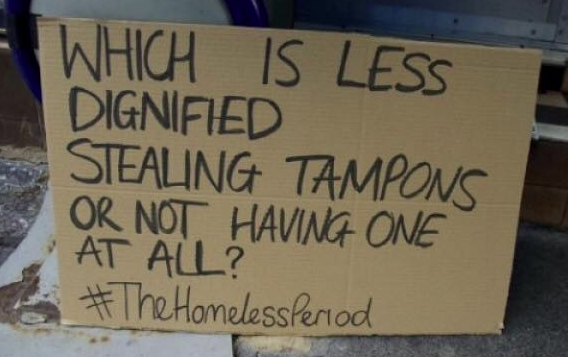 I am really quite humbled and proud to run this incredibly moving #charitytuesday guest post. Please read and then RT and spread the word that amazing items are needed for the auction at the 2012 ball. Now I’d like to appeal to anyone in PR or any clothing company who thinks they might be able to provide Nicola with a stunning outfit for the 2012 ball which is being held in February. As well as the knowledge that you are helping to support a wonderful cause, your dress will be seen by all the guests at the ball and also feature in any news stories surrounding it. Alternatively, if you have any prizes that you could donate to the raffle then I’m sure Nicola would be very glad to hear from you too – please see original post for full story and contact details. Can you help or pass this on to someone who can? Magpas is a charity reliant on donations of both time and money. It’s Emergency Medical Team – Helimedix, their equipment and running costs. Providing a Rapid Response Vehicle, its equipment and maintenance. The charity also requires volunteers not just to provide the services but also to help with fundraising, publicity and events. If you think you have skills which could help, visit the website www.magpas.org.uk to find out more. If you would like to become a subscription member of the lottery then you can download an application form by clicking here. This gives you an entry in the draw every week. Simply print off the form, fill it in and post it to the address on the form. You will receive your ticket through the post. If after reading these instructions, you still have a query, please read the Frequently Asked Questions by clicking here. What is a Helimedix team? Magpas Helimedix Team’s are a specialist pre-hospital response and retrieval team who have undertaken specific advanced training through Magpas for their role. These individuals are equipped to provide a full range of life saving medical interventions. The team comprises of a Doctor and a Paramedic drawn from a pool of appropriately trained individuals. Where are the Helimedix Teams based? The Magpas Helimedix Team is based centrally at RAF Wyton to provide the optimum service to the population of Cambridgeshire and Bedfordshire, from this base Magpas Helimedix are ideally placed to respond to any serious incidents in the East of England. Magpas Helimedix have the use of several dedicated transport platforms and use the most appropriate form of transport for the incident and location. How are Helimedix Teams activated? Magpas Helimedix teams are activated via the control rooms of the Ambulance Service, Cambridgeshire Fire and Rescue Service or Cambridgeshire Constabulary. What does ‘on scene’ medical support mean? This refers to deployment to the scene of an incident to provide direct medical support. On-scene medical support may involve the full spectrum of pre-hospital critical care at the scene as well as in transit care during the journey to the most appropriate hospital. On-scene support most commonly involves major trauma patients who are trapped at the scene. Helimedix Teams will respond to requests from an Ambulance Crew or Fire Officer for assistance at the scene of a serious incident. Magpas Helimedix teams have been deployed 670 times from January – December 2011 . How are Magpas Helimedix funded? Magpas is solely reliant on the generous donations of you the public. It costs in the region of £1.8million per annum to offer this life saving service to the East of England. If you would like to keep this incredible service running please donate now. Will Aid, the UK’s most enduring and successful charity Will-making scheme, runs again for the month of November 2012. The Solicitors who kindly agree to take part receive no payment for their services, instead donations are sent to nine of the UK’s leading charities: ActionAid, British Red Cross, Christian Aid, Age UK, NSPCC, Save the Children, Sightsavers, SCIAF (Scotland) and Trocaire (N. Ireland). Will Aid solicitors all over the UK agree to write basic Wills during November, without charging their usual fee. These solicitors aim to raise as much money as possible for the Will Aid charities, by asking Will-makers for a donation, which reflects the time and expertise they have devoted to writing the Will. The suggested donation is £90 for a single Will, £135 for mirror Wills or £40 for a codicil or change to a previous Will. Will Aid is effective. Not only does it raise substantial money for charity, but also motivates people to get on and make their Will – something that many people have been meaning to get around to for years. Last November, solicitors all over the UK gave their time and expertise to Will Aid. Over 27,000 clients wrote a Will. Nine charities shared £2.2 million, donated by Will-makers to Will Aid. The contact details of participating solicitors are now available online at www.willaid.org.uk or by phoning the hotline on 0300 0300 013. Readers should then contact the solicitor straightaway to make an appointment for November. The website also has a good deal of information on Wills and inheritance issues as well as a useful Will planner to help people prepare their Will. To offer additional peace of mind to Will Aid clients, we have teamed up with Certainty, the National Will Register, so that clients can register the location of their Will – for free. When a Will is needed, the register enables loved ones to quickly and easily locate it. Information taken from Will Aid press release, please direct any enquiries via the Will Aid website.